Overlooking King’s Staithe Square and the quay it's ideally placed to explore this pretty Georgian town. Check out Kings Lynn town centre with plenty of artisan shops and boutique stores. 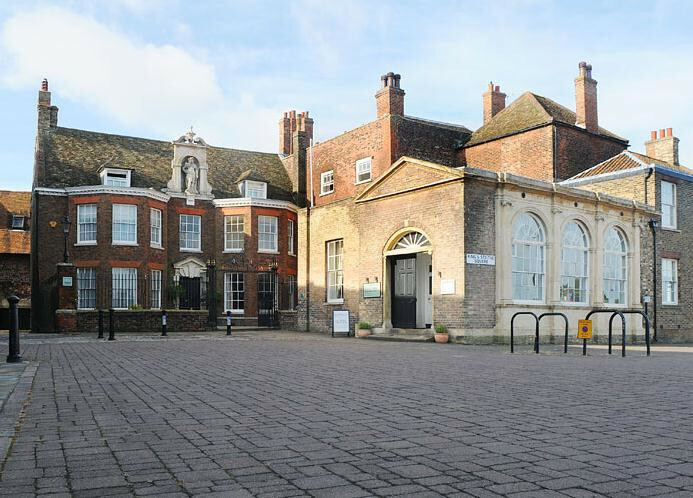 Jump on the ferry across the Ouse to get to the Peter Scott Walk around the edge of The Wash.
Visit the Customs House and explore the pretty cobbled streets. The RSPB reserves of Snettisham and Titchwell are just a short drive away, as are the North Coast beaches. "A series of attractive ground floor rooms are given over to dining space, making Bank House feel more like a restaurant-with-rooms than a hotel." "Finally, be sure to have dinner at the hotel’s corner bar and restaurant, where the food is always good and whose lights act as beacon at night to hungry waterfront-strolling locals.​"